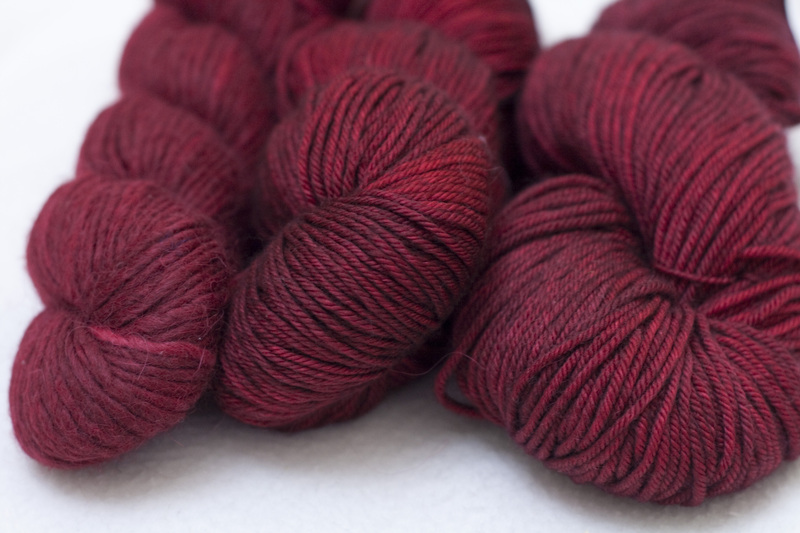 This colour from Madelinetosh is just OHMIGOSH pretty. And the yarn bases I have it in are squishy! 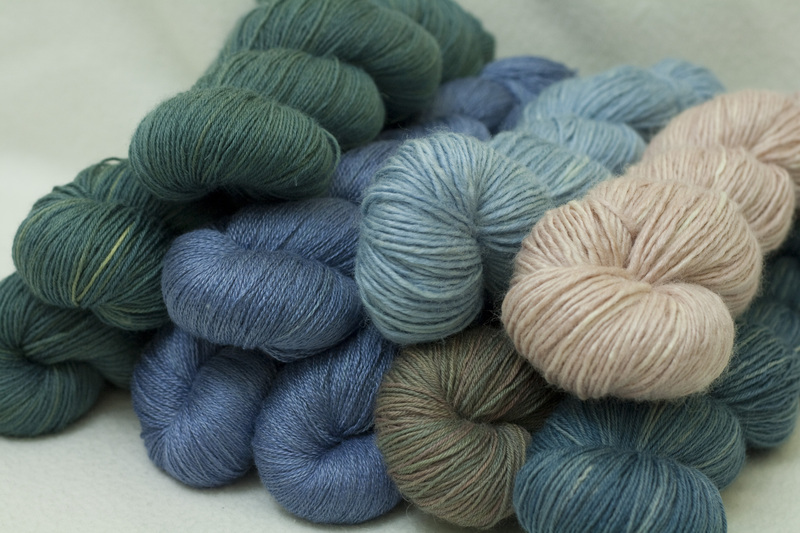 From left to right: Eyre from my very first Tosh Sweater Club (14 skeins, 1680 yds), DK (7 skeins, 1575 yds) and 80/10/10 MCN (8 skeins, 1496 yds). These are definitely turning into cardigans, sweaters or pullovers. Yum! The latest addition is the 80/10/10 which I happened upon one evening on an Etsy update. It is so squishy! And the colour is just so rich; the only comparison I could think of is Sundara’s reds esp her Crushed cherries and Ruby Port. 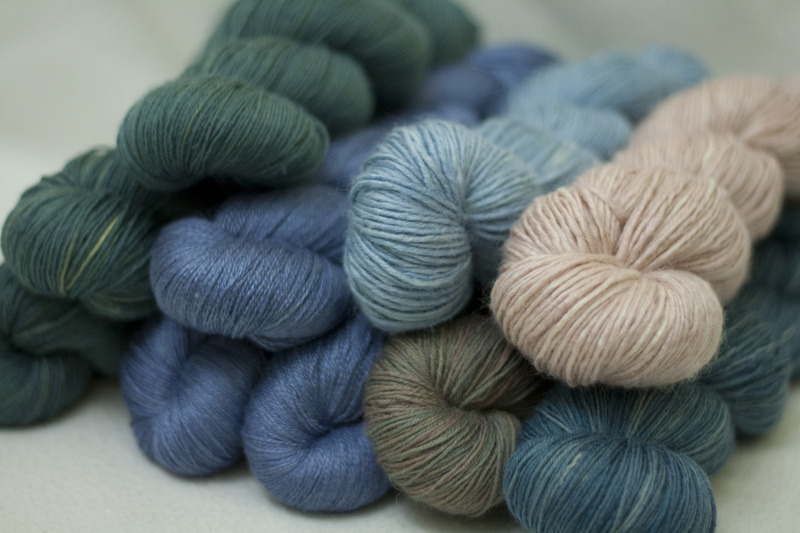 Certainly leagues ahead of my feeble attempt at dyeing! I am quite fond of this batch though which I cooked up about a week or so ago. I am a sucker for greens and blues so I tend to do lots of variations of these shades. Most of these skeins are listed in my Etsy shop; link above or on the right. Take a look, won’t you?